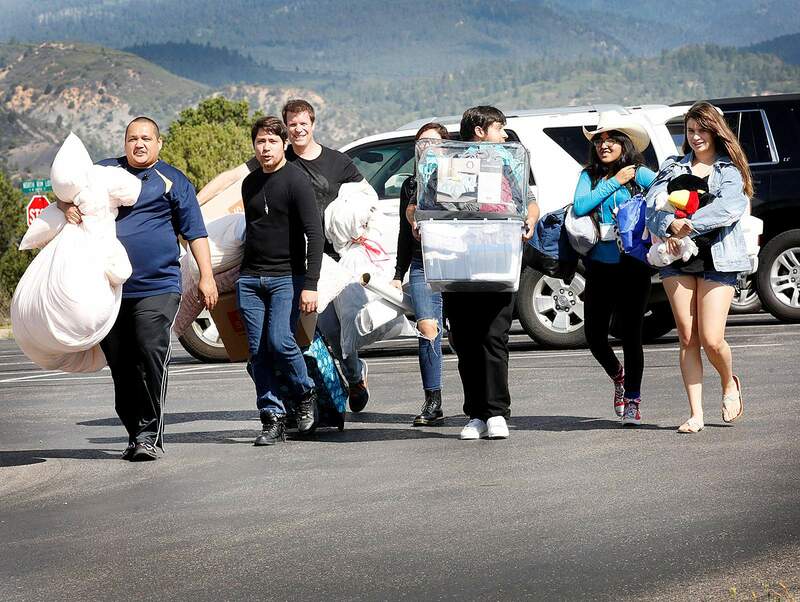 Family members help Abigail Potter, 18, right, and Trinity Campos, 18, near right, both incoming freshmen from Austin, Texas, move into their dorm rooms Thursday in West Hall at Fort Lewis College. 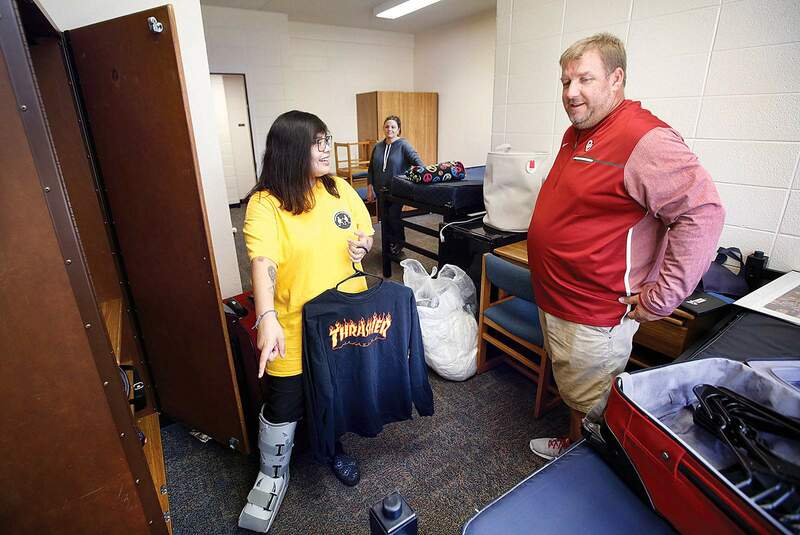 Monday is the first day of fall classes. 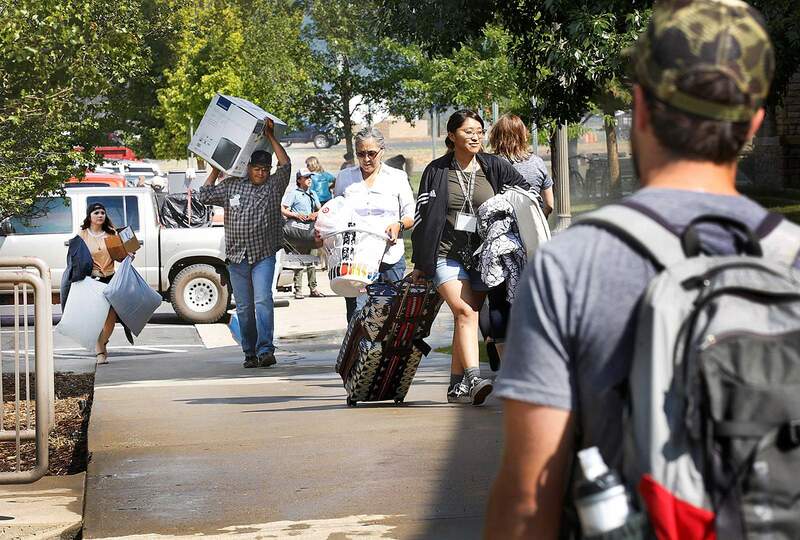 Fort Lewis College campus was abuzz Thursday as students moved into their dorm rooms.